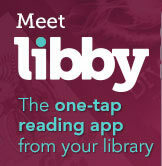 Choose from thousands of eBooks and eAudiobooks. Compatible with Nook, Kindle, Apple products, and many mobile devices. Download up to five books at a time for up to 21 days. You may return items early to check out new items. You may place up to five items on hold if they are currently checked out. Log in with your 14-digit Winfield library card and use the same password you have set up in our online catalog.